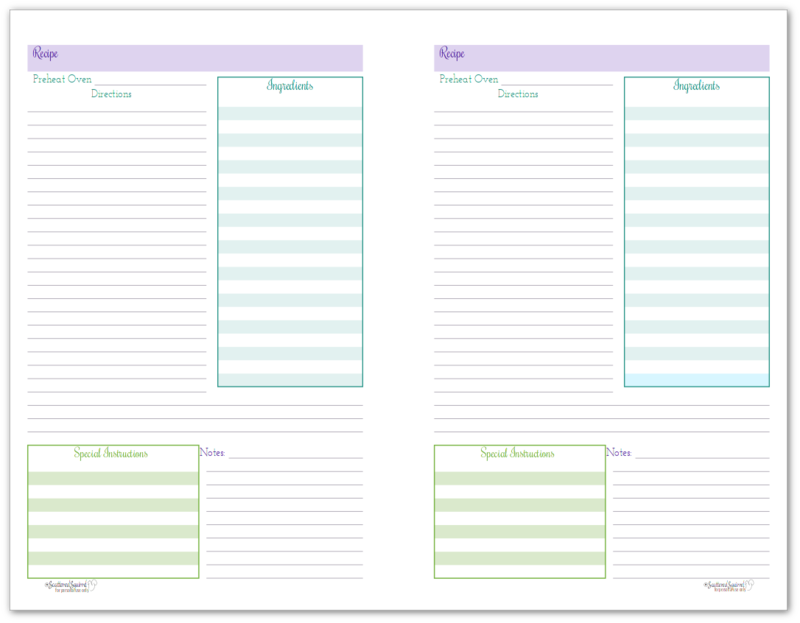 Last month, as I was reorganizing my work planner, I snapped a photo of the list pages I had for the printables and invited everyone to share any suggestions or requests that they had. 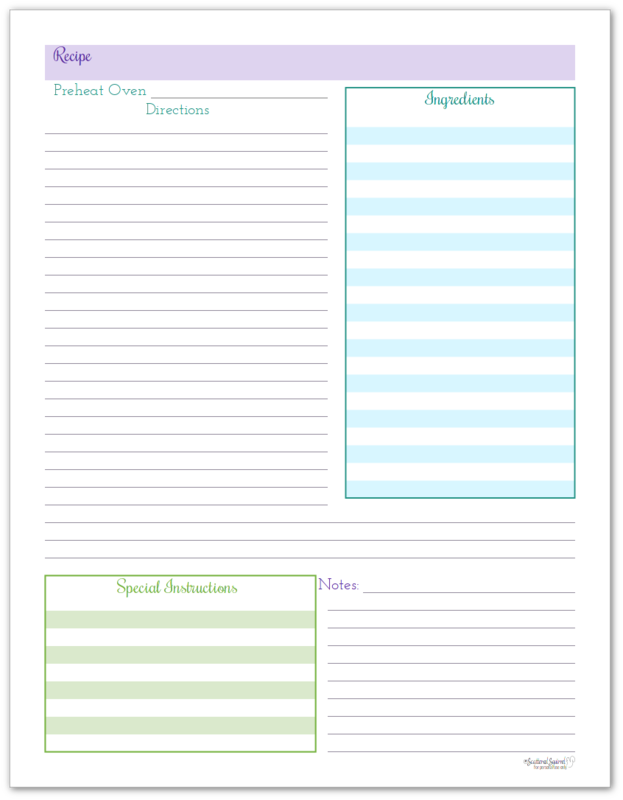 One of the those requests was for recipe page printables that match the kitchen binder printables. These printables have been on my list for a long time now, so I moved them up to the top of the list. 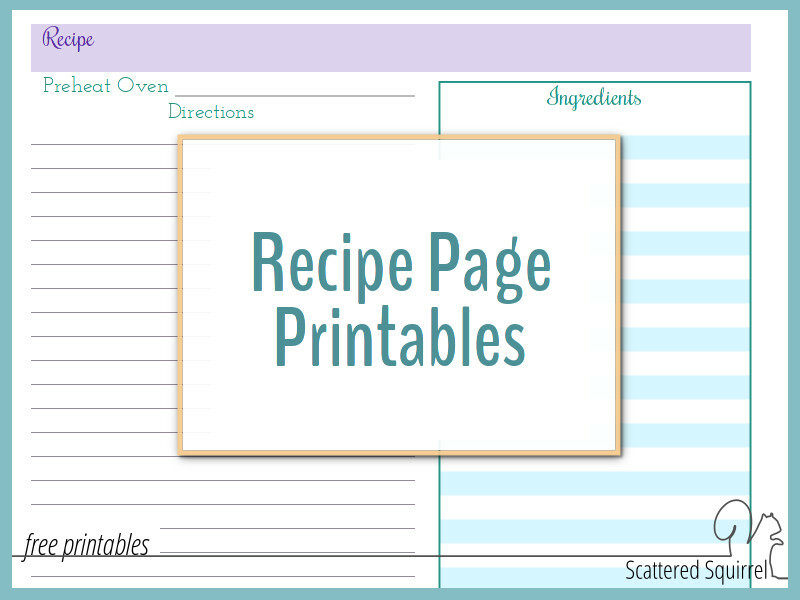 The recipe page printables are a great tool to help organize your recipes in a binder or file. My husband is the cook and baker of our family. He enjoys being in the kitchen making yummy things for us to eat. I’m happy to pass over cooking duty every chance I get. He prefers to use cook books and hard copy recipe collections over digital, so over the years I’ve created a kitchen binder that keeps all our recipes an other kitchen related pages in. These recipe page printables are just the newest printable in this collection. 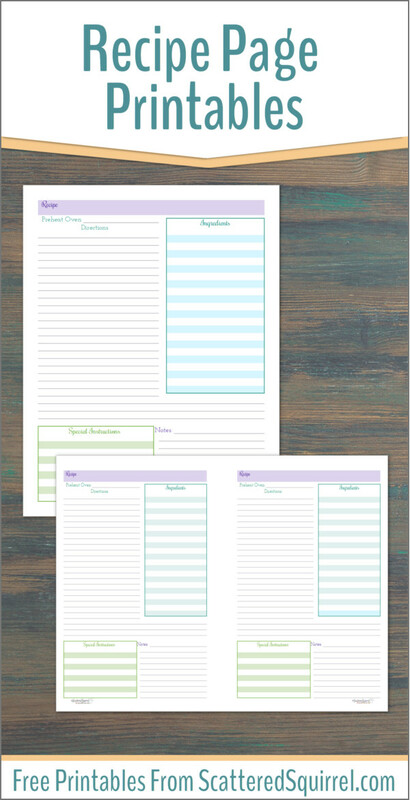 Click here to check out the other kitchen binder printables. These printables don’t really need much introduction or explanation so let’s just jump to checking them out shall we? As you can see there is space at the top for the title and preheating instructions. These areas are followed by space to write in the instructions and ingredients. Finally, at the bottom of the page there is room to make note of any special instructions and notes you want to remember. If these colours aren’t quite what you were looking for, I do have another version of the recipes page printables that I shared as part of the Home and Life Organized series last October. They are exactly the same, just different colours. Organize the categories in a way that works for you. For example, we like to organize ours by main dishes, sides dishes, baked goods and desserts. That way it’s easy for me to browse through them when making up our meal plans. I’d love to hear what you think about the recipe page printables. Do you like to write your recipes out by hand or do you prefer to use our tablet or computer to store them? Drop me a line in the comments below and let me know what you think.